Photoshop Lightroom 3 is a stealthy upgrade to Adobe’s image management and editing application for photographers. On the surface it looks much like it has since its Lightroom 1, which shipped in 2007. The new feature list seems modest: a handful of enhancements to the raw-image processing engine in the Develop module, some cosmetic changes, and a few additions to each of the core modules. Although these improvements might not seem to add up to much, they are all in the service of streamlining the process of managing your photos and providing the highest-quality images. Digital cameras have gotten quite good at minimizing both luminance (light’s intensity) and color noise at higher ISO settings, but noise can still be an issue when you're shooting in low-light situations. Although Lightroom previously did a decent job of reducing noise, version 3 features entirely new noise-reduction algorithms that do an amazing job of eliminating noise while still preserving detail in your photos. Adobe has added new adjustment options for both color and luminance noise reduction in Lightroom 3. In addition to the ability to control the strength of the reduction—previously the only available noise-reduction option—you get sliders for preserving detail, and, in the case of luminance reduction, one for adjusting contrast. These new controls let you quickly dial in the right amount of reduction without making your final image overly soft. Color and luminance noise are common in low-light shots; Lightroom 3’s new reduction algorithms provide more control over reducing noise, while doing a great job of keeping detail and contrast in the final image. In revamping the raw processing engine in Lightroom 3, Adobe has also improved the sharpening algorithms. These enhancements are a bit more subtle than the noise-reduction tools, especially since sharpening in Lightroom 2 was already pretty good. What blew me away was how easily I was able to use Lightroom 3’s improved raw processor to restore a number of high-ISO shots I took years ago with an older DSLR; I had given these shots up as casualties of the dark room I shot them in, but they gained new life in my portfolio thanks to Lightroom 3. Part and parcel of these new image-processing tools is a general performance boost across the board. The speed increase is hard to quantify, but Lightroom 3 feels much zippier than its predecessor, especially when it's building thumbnails after import, and when you're moving between images or using the adjustment brushes in the Develop module. Lightroom 3 ships with an extensive set of lens profiles for automatically or manually correcting vignetting, geometric distortion, and chromatic aberration in your images. 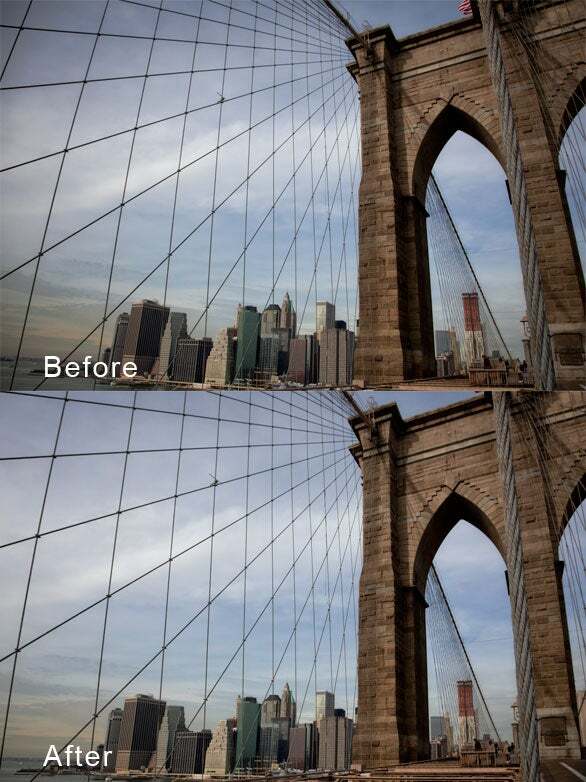 You can even adjust an image’s perspective to “straighten” horizons. Since its first release, Lightroom has offered simple tools for controlling vignetting—the darkening of the edges of a photo that occurs most often when you're shooting with wide-angle lenses at large apertures. Version 3 offers much beefier lens correction tools, enabling you to adjust the geometric and chromatic distortion in an image based on the profile of a specific lens. The program ships with profiles for a large number of lenses from Canon, Nikon, Sony, and others, but you can create your own profiles for your lenses with Adobe Labs’ Lens Profile Creator. The lens correction tools are quite extensive, and are available in both automatic and manual modes. The manual mode lets you perform perspective correction, such as when you shoot an object (like a building) at a sharp angle. This latter feature isn’t going to replace a tilt-shift lens or fix an extreme angle of view, but it can help straighten problematic street shots and skylines. Lightroom 3’s postcrop vignetting has also been enhanced, letting you create more-natural-looking vignettes. Adobe’s primary focus in Lightroom 3 was to enhance the image-processing engine and performance, but the program contains a number of other new and improved features. For example, it now supports tethered shooting, letting you capture images directly to your Lightroom library from your DSLR. And a comprehensive watermarking feature lets you add watermarks of almost any type to your images, quickly and easily; you can save watermarks as presets and apply them to your images when exporting them to the Web or any other location. The Slideshow module is much more useful in version 3: Lightroom can now export a slideshow as a video in a variety of sizes (including HD video). Also, you can keep a slideshow as a Collection, making it easier to arrange and save these presentations. The Custom Package feature in the Print module lets you create custom, multipage photo layouts with different images for each layout cell. 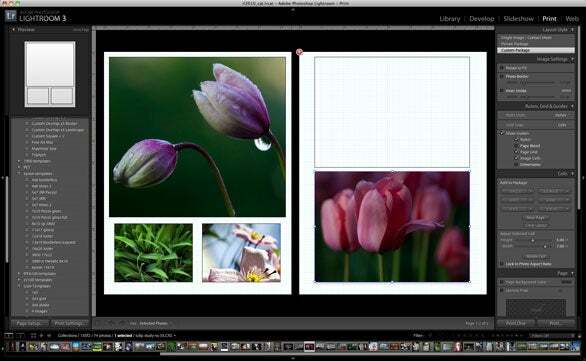 The new Custom Package option in the Print module lets you create flexible photo layouts across multiple pages. The layout editor in previous versions only let you use multiple versions of the same photo on a page; Lightroom 3 lets you easily use different photos in each cell. Numerous other small enhancements include a more intuitive Import dialog box, as well as a Publish Services feature that lets you create a synchronized set of images on Flickr or on your hard drive (great for syncing with an iPad). You can also add film-style grain to your images, which, unlike noise, can be a nice effect, especially for black-and-white photos. In addition, Lightroom can now import and catalog video files alongside your photos. You can’t edit them, but just being able to automatically get movies off of a camera card is a welcome step (I say this as someone who has accidentally reformatted a memory card after forgetting to copy videos off of it). Some of the little inconsistencies found in previous versions have been fixed—no longer does the N key do one thing in the Library module, and another in Develop—but I still found a few places where Lightroom’s overly modal nature gets in the way of my workflow. For example, you still can create stacks only in the Library’s primary catalog view; if you’re working in a collection, you can’t stack (or unstack) photos. And you still can rename a file or add a keyword only in the Library module. Also, the cool new Publishing Services feature is available only in grid view. This drove me crazy when I finished editing a photo and had to go through a bunch of extra clicks to get it into my Publish queue, especially since I have long been able to export files directly from the Develop module. None of these limitations are showstoppers, but it would be nice to see Adobe reduce the things that force photographers to move from module to module when working on their images. Given the lockstep manner in which Apple and Adobe have been updating their image-processing applications, it’s inevitable that people will want to compare the two. A complete comparison is outside the bounds of this review, but, as someone who works with both programs regularly, I can say that your choice really does come down to how you want to work and the features you desire. 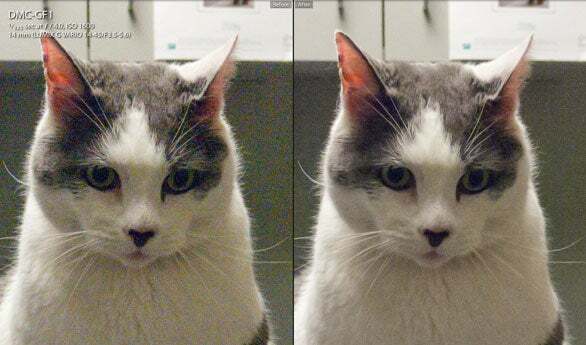 Lightroom’s focus is on image quality, and this shows in the polish of the Develop module. After years of working with various workflows, I find Lightroom to be the most comfortable place to import, manage, edit, and print my photos. And while I can complain about some workflow issues, the quibbles are minor. That said, Aperture 3 ( ) has some real advantages, especially in the way it includes extras that Lightroom lacks. While Adobe might sniff at Aperture’s book-publishing support, it is a great feature; in fact, I know more than a few photographers who have bought and used Aperture solely for that purpose. And with Aperture 3’s smart new additions—like the superb geotagging support in the Places feature and the newly rewritten, high-quality raw processor—I'd have a hard time telling people not to look at Aperture, especially since it costs $100 less than Lightroom. Some might find Aperture’s editing interface intimidating, but once you learn it, it can be comfortable. I advise you to download demos of both, and pick the one that you feel most comfortable with; it’s hard to go wrong with either. The image-processing enhancements in Lightroom 3 are impressive, and only solidify the program’s position as one of the best tools for managing, editing, and publishing photos. If you already have an earlier version, Lightroom 3 isn't blockbuster update (although to be fair, it really didn’t need to be), but it still offers enough new features and improvements to make it well worth the $99 upgrade fee.